A concrete tile roof installed by Buddys Roofing will beautify your home, add durabilty and will enhance the 'curb appeal' of your home. Choose from a huge pallett of styles and colors to enhance any architecture resulting in curb appeal that is not available with other roofing materials. Whether you are staying in your home for years to come or plan to sell your home in the near future, a concrete tile roof will help increase the home's value. Through rain, hurricane force high winds or hail, a properly installed tile roof can withstand the elements providing years of worry-free performance. Roof tile can help to lower energy costs by reducing heat transfer through air circulation under the tile and through concretes inherent insulating properties. When you consider that a concrete tile roof will last for the life of the structure, the full life-cycle cost of the roof is quite affordable when compared to other roofing materials. Strategies may come and go,but a strong company culture defines the soul of an organization. At Eagle, our culture emphasizes service: to the team member,customer and supplier.There are choices,and we want YOUR choice to be Eagle. Eagle Roofing Products is a Division of Burlingame Industries, a California based privately held, family-owned organization that has been in the tile industry for over 40 years. From these family roots, our business philosophy and vision have blossomed. Eagle began operations in the fall of 1989 with one high-pressure concrete tile extrusion machine. Today, Eagles Rialto, California facility is the largest in North America. Our Phoenix,Stockton, and Rialto, facilities have grown rapidly to meet the demand for concrete tile.Now with expansion into Florida, Eagle is working towards its goalcustomers should never have to wait for tile. Over the years, Eagle has grown due to a philosophy that revolves around growing personal relationships. Our vision starts with our employees and is reflected in our relationships with our customers and our business partners. Having built a reputation as the preferred company to do business with,we listen to our customers and react quickly to satisfy their needs.Each and every person in our company is a Customer Service Representativefrom field personnel, to our Order and Shipping departments, to our experienced manufacturing staffeach team member performs with the singular goal of customer satisfaction. Eagles long experience in the roof tile industry and dedication to prompt personal response to its customers needs have resulted in a well-deserved reputation for quality and servicea reputation that is unmatched.Eagle is customer service. 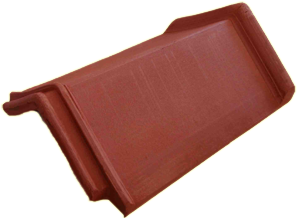 No other concrete roof tile manufacturer offers the range of styles and colors that Eagle offers. Options. Eagle has them,and they give you the ability to differentiate your projects while increasing their value. Eagle has developed regionally specific color lines with the help of professional colorists who understand industry trends. Eagle Roofing Products. The company of choice. Available in a wide variety of design-inspired colors and profiles that can enhance any exterior style, Hanson concrete roof tile is beautiful, durable and safe. Hanson Roof Tile is virtually maintenance-free, structurally superior and lasts longer than other traditional roofing materials. Tile roofing is also Class A fire rated the highest fire-resistant rating available. Tile roofs are also your most cost-effective and energy-efficient material choice, with better insulating properties than other material choices. 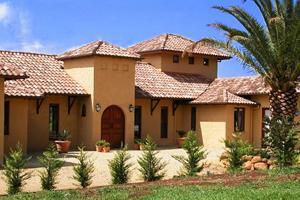 Manufactured from sand, cement and water, Hanson Roof Tile is even environmentally friendly. The Hanson Distinction - Beautiful homes love Hanson Roof Tile. Hanson is dedicated to providing not only the best quality tile, but also unparalleled service and personalized attention. Hanson Roof Tile is the only name you need for concrete roof tile and the exceptional service behind it. Hanson Roof Tile is aesthetically distinctive, bearing the unmistakable sign of elegance and taste, creating instant curb appeal for any structure. Available in a wide variety of design-inspired colors and profiles that can enhance any exterior style, Hanson Roof Tile products can emulate the appearance of clay, slate and cedar shake roofs for a variety of architectural styles. We can manufacture concrete roof tile surfaces as textured or smooth, with uniform or ragged edges. Hanson uses more oxides to generate better, longer-lasting colors. We mix one-color, blended colors or a combination of shades to create uniform or random patterns with concrete roof tile for a more broad color palette than clay roof tiles. Colors, styles, and formulas are continuously reevaluated to ensure they meet the demands of customers, builders, developers and architects. Hanson roof tile is virtually maintenance-free. Concrete roof tile is structurally superior and lasts longer than other traditional roofing materials. Tile roofs are pest-resistant, do not rot in wet climates and are not damaged by heat or sunlight. In contrast, harsh sunlight can cause asphalt shingles to become brittle and weaken shingle adhesive, increasing the likelihood of shingles tearing or blowing off in bad weather. Concrete roof tiles are completely non-combustible. Concrete tile roofing is Class A fire rated, the highest fire-resistant rating available. Tile roofing systems allow air circulation under the tile, reducing heat transfer to attics during fires. In comparison, most house fires spread because embers ignite roofing materials, accelerating combustion. Due to their extreme durability, the cost of concrete roof tiles is distributed over an extended lifecycle. Depending on the weather conditions where the roof is located, this can be up to 100 years. Roof tile is one of the most economical roofing options on the market. Because of their proven durability, Hanson Roof Tiles carry a lifetime-limited warranty. A roof is one of the most important aspects of the home. When you see a tile roof, you know the home has been designed to support the weight of the tile. As such, a tile roof is a likely indicator of a solidly built home. Unlike metal roofing systems, which can sustain dents, and are noisy during storms, tile roofs withstand natures harshest weather, including hail and snow. Tile roofs are cost-effective and energy-efficient, with better insulating properties than industry-competitive materials. Hanson Roof Tile is environmentally friendly, manufactured without chemical preservatives from non-toxic materials: sand, cement and water. As a result, roof tile is more environmentally friendly than other roofing products such as asphalt composition shingle or metal roofing. The process involved in manufacturing concrete roof tile is even more environmentally friendly than that of clay roof tile. Clay tile is cured at very high temperatures, which requires more energy and cost than concrete tile does. And, old roof tiles can be recycled to create new tiles and other products. Most concrete roof tile is manufactured locally while many clay roof tiles are imported from Mexico and South America. Leading concrete roof tile manufacturer Hanson Roof Tile has nine manufacturing operations located in California, Arizona, Texas and Florida. Hanson Building Products North America is comprised of Hanson Pipe & Precast, Hanson Pressure Pipe, Hanson Structural Precast, Hanson Brick, Hanson Hardscapes and Hanson Roof Tile. Based in Irving, Texas, Hanson Building Products North America employs approximately 4,500 people and operates 150 facilities with products available throughout the U.S. and Canada. One of the company's corporate strategies is continued focus on sustainability. Hanson Building Products is known throughout North America for excellent occupational safety, environmental stewardship, high quality standards and contributions to its local communities. To learn more about Hanson's quality products, services and building technology, please contact today! Ludowici Roof Tile is an American based manufacturer located in southeastern Ohio that has been in continuous operation since 1888, mining rich Ohio clays to manufacture a wide variety of top of the line clay roof products. 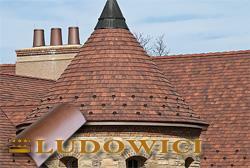 Ludowici's clay roof tile has been renowned by architects for its beauty and durability. A roof crafted from Ludowici roof tile typically lasts well over a century, and is backed by the industry's most comprehensive warranty program, including a 75-year warranty. Driven by customer demand, Ludowici has introduced a new offering that combines the advantages of natural clay and the beauty and aesthetics of slate. Ludowici engineers have designed an innovative product that is lightweight (less than 600 lbs per square), fully walkable (with a breaking strength of over 400 lbs), and has all the beauty and color of traditional slate at a cost that is competitive with less dependable, mass market composite products, but with the added benefit of a 75 year warranty from a company that has been in operation in the United States for 120 years! The color range for LudoSlate is the broadest on the market - a broad array of colors and blends that cover all of the classical ranges of slate, but unlike mined slate, LudoSlate will be able to consistently repeat the colors over time. In addition, the LudoSlate line includes LudoSlate Premier with varied widths available for those that prefer a more random appearance. (Corona, CA) - DECRA Roofing Systems, Inc., the manufacturer of DECRA Roofing Systems, offers DECRA Tile. With a long-standing reputation for performance, longevity, versatility and beauty, DECRA Tile offers a lightweight alternative to traditional tile products. DECRA Tile allows maximum design flexibility and enhances all types of projects. 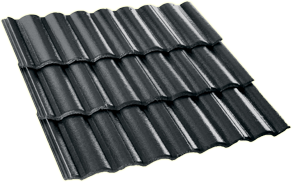 It can be used in re-roof and new construction applications. The system is not only strong, but unlike traditional tile products; DECRA Tile is walkable, low maintenance and won't crack, burn, curl, split or rot. This versatile tile can be used in any climate offering homeowners in northern regions an opportunity to enjoy the look of traditional clay tile roofing without the fear of freeze thaw breakage. DECRA Tile is composed of lightweight zinc/aluminum alloy coated steel and coated with an acrylic bonded stone chip finish. From traditional Terracotta to an atypical Arctic Blue, a wide variety of colors are available. DECRA Tile is built on a reputation of strength and elegance. DECRA Tile weighs a mere 1-1/2 pounds per square foot installed. It is Class 4 Impact resistance to UL 2218 by Underwriters Laboratories (highest rating) and can withstand winds up to 120 mph. The end result is a superior roofing tile that is supported by a 50-year limited warranty. DECRA Roofing Systems can be found on a diverse range of residential and commercial projects throughout North America. 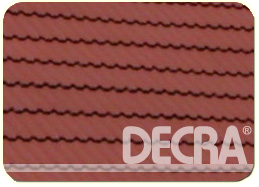 DECRA offers a variety of roofing products under the DECRA brand name. M.C.A. standard styles include the One Piece S Mission, Straight Barrel Mission, Corona Tapered Mission, Classic Tapered Mission, Turret Tile, Oriental, MF108 Flat, and Improved S styles. M.C.A. also offers custom and other unique products. Our computerized production lines allow us to combine modern technology with centuries-old ceramics knowledge to manufacture a wide variety of flashed colors. M.C.A. colors are environmentally friendly and are produced without the use of lead so there is no need to be concerned that rain run-off from your M.C.A. tile will contaminate the soil or water table. M.C.A. is the first roofing manufacturer to meet Energy Star and Cool Roof guidelines on many of our available colors and blends. M.C.A. can also help you achieve LEED points. M.C.A. tile is not only beautiful and affordable during the construction phase of your project, it may also provide long-term energy savings throughout the life of your building. M.C.A.s enormous color selection and range of styles enable you to have greater flexibility to create anything from the most traditional, and old world, to contemporary roof designs. M.C.A.s tiles are designed to stand up against the harshest elements, including earthquakes, heavy rain, strong wind, fire, and freeze-thaw conditions. Our tiles are rated Grade 1 according to ASTM C1167 industry standards. 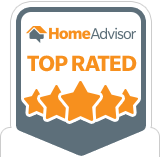 This is the American Society for Testing and Material's rating for clay roofing tile that provide the greatest resistance to severe frost action and the least water absorption. M.C.A.s roofing tile is made of 100% clay, carefully mined and tested during each manufacturing process. MonierLifetile, A Boral Roofing Company, was formed in 1997 as a joint venture between long-time industry leaders Monier Inc. and Boral Lifetile Inc. Monier was founded in 1965 and Lifetile in 1962. The company is the largest manufacturer of premium-quality roof tile in the United States. 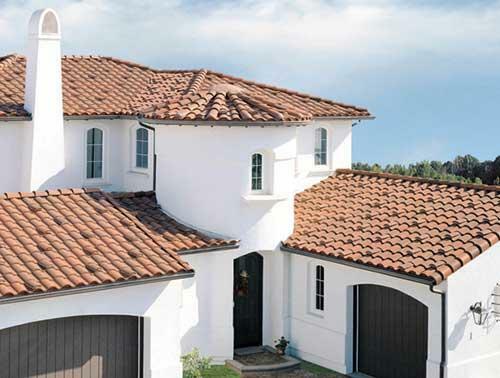 MonierLifetile offers the industry's broadest combination of concrete roof tile colors, profiles and finishes for both new construction and reroof, plus a broad spectrum of components designed to work together as a completely integrated roofing system. Customers benefit from the company's advanced-technology manufacturing techniques as well as its expertise in materials science, product design and extensive testing. MonierLifetile participates in computer-controlled wind tunnel testing of its roof tiles, as well as testing for resistance to fire, hail and seismic activity. Boral Roofing formed in July 2010 is a division of Boral USA, the country's largest premium provider of complete roofing and re-roofing solutions for architects as well as commercial and residential builders. Boral Roofing which includes US Tile and MonierLifetile operates 15 clay and concrete tile manufacturing plants throughout the US and Mexico. Boral USA is headquartered in Roswell, Georgia, Boral USA through its subsidiaries employs approximately 1,500 individuals at more than 140 operating and distribution sites across the United States. The U.S. operations include the country's largest brick manufacturer and the largest clay and concrete roof tile manufacturer.